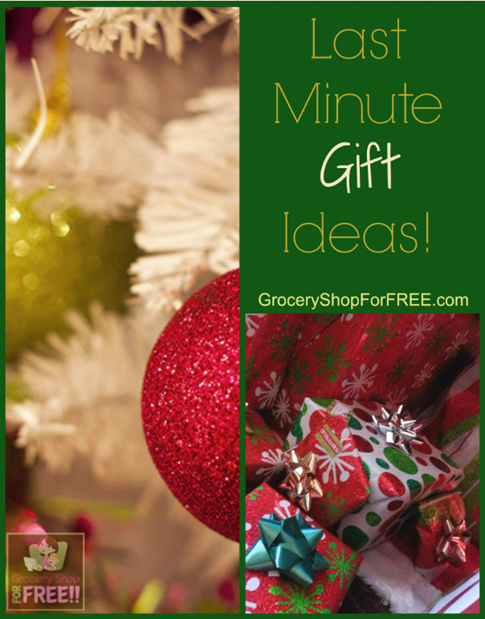 You are here: Home / Great Deals / Christmas Deals / Last Minute Gift Ideas! Ok, you’re down to the end and you still have people on your list? Need Last Minute Gift Ideas? Well, good news, there are many things you can do! Gift cards are great – I told you the other day about Kroger and their HUGE Gift Card area PLUS you get 2x the fuel points when you buy them! Also, you can check out the HUGE list of Gift Cards that will give you a bonus card or deal when you buy them! You can get Restaurant Gift Certificates right now online and they are available immediately – no waiting! Today, you’ll pay just $3 for a $15 restaurant certificate! Amazon Gift Cards are immediate, too – no waiting, just buy it and email it – or wrap it up and give it to them! Don’t forget – there are many stores that will let you order online and pick up in store for FREE shipping and no waiting! If you need anymore ideas, feel free to ask!